Is your Field Service Technician courteous and respectful, with a friendly and positive attitude? Does the partner contact you when it’s time to schedule a service? Is the appointment scheduled to accommodate your needs and does the Technician show up on time? Are communications with the main office responsive and prompt? Does the vendor guarantee an under 4-hour response time to your location, as well as offer 365x24x7 emergency services? Is the Technician professional in appearance and communicate in a professional manner? Does the Technician have the tools on-hand that are required to complete the job properly? Can the Technician evaluate the UPS environment as a whole system, including PDU, CRAC, generators, ATS, and how they all work together? When you have a system failure, can the Technician find a solution by assessing the entire power system? Does the Technician have the training, knowledge & certification required? Does the Field Service Technician work confidently and cautiously to trouble-shoot and solve problems? Is the company audited by a third-party safety organization that holds them accountable to strict safety standards for both employees and customers? Does the Technician meet all of the required PPE (personal protective equipment) standards? Do the Technician as well as the company both provide excellent customer service? Do you receive easy-to-read Field Service Reports after every visit that include system recommendations? With Titan Power, the answer to all of these questions is YES! 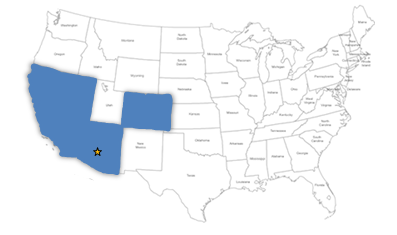 Titan Power provides equipment maintenance services in the Southwest part of the U.S. Call us today at 800.509.6170 to see how we can improve on the maintenance services you are currently receiving. Or, click here and we will provide you with a free quote. This entry was posted in computer room maintenance, Data Center Battery, data center maintenance, Facility Maintenance and tagged data center maintenance, UPS maintenance. Bookmark the permalink.